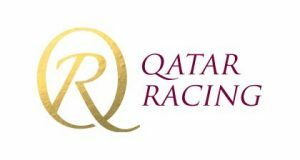 Qatar Racing Limited is a subsidiary of QIPCO Holding, a leading private investment company in the State of Qatar, on the west coast of the Persian Gulf, and was founded in 2012. QIPCO Holding, in turn, is owned by six brothers, who are cousins of the Amir of Qatar, Sheikh Tamim bin Hamad Al Thani, and Qatar Racing represents their racehorse ownership interests. Another brother, Sheikh Fahad Al Thani is the chairman of Qatar Racing, which has horses in training not just in Britain and Ireland, but around the world. Indeed, the claret with gold braid racing colours of Qatar Racing have been increasingly familiar in 2018, thanks in large part to Roaring Lion, trained by John Gosden, who finished third in the Derby before winning the Coral-Eclipse, the Juddmonte International Stakes, the Irish Champion Stakes and the Queen Elizabeth II Stakes. At the time of writing, Roaring Lion is due to contest the Breeders’ Cup Classic, on dirt, at Churchill Downs Racetrack in Louisville, Kentucky, with retained jockey Oisin Murphy taking the ride. Roaring Lion is the highest-rated horse owned by Qatar Racing in training in Britain and was, by far, the most successful, with £1.98 million in total earnings in 2018. However, Lightning Spear, trained by David Simcock, also made a significant contribution, of over £738,000, after winning the Sussex Stakes at Glorious Goodwood in August and running creditably in defeat in the Lockinge Stakes, the Queen Anne Stakes and the Prix de Moulin de Longchamp. In fact, the only time the seven-year-old failed to collect any prize money at all was when seventh of 13, beaten 7¼ lengths, behind Roaring Lion in the Queen Elizabeth II Stakes at Ascot in October. Roaring Lion and Lightning Spear aside, the next most successful horse of the season was Count Octave, trained by Andrew Balding, with earnings of just £77,000. In fact, the Frankel colt won only a lowly novice stakes races on the all-weather at Wolverhampton, but paid for his winter corn courtesy of subsequent placed efforts in the Jockey Club Stakes, the Queen Alexandra Stakes and the Lonsdale Cup.